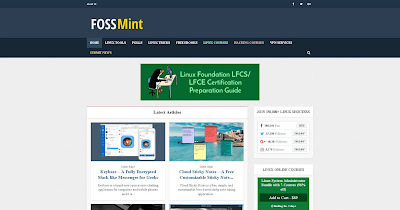 TecMint was established in the year 2012 for the sole purpose of filling in the craters in the Linux industry – with regards to guides, software reviews, Linux commands, shell scripting, monitoring tools, etc – and has continually endeavored to bring you the best of content (most of which are exclusive) all in one place. 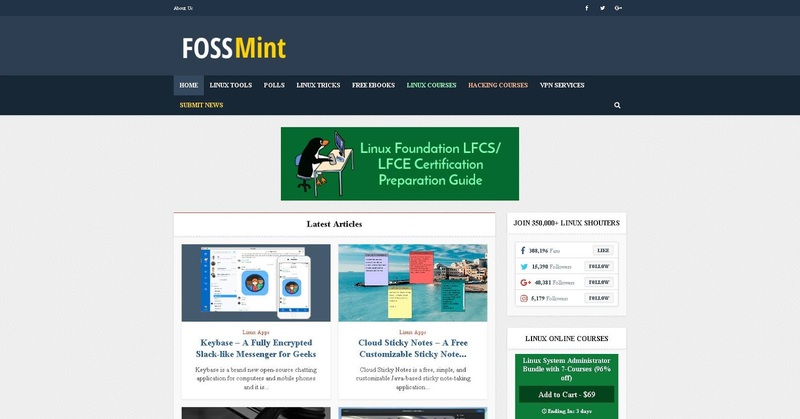 In an effort to improve our reach on the internet, we decided to launch our long-planned F.O.S.S Mint (Free Open Source Software) section which we will use to constantly keep you updated on everything there is in to know about Linux and FOSS. The content we’ll be covering in this site, will include but will not be limited to: news, tips and tricks, and basic howto’s. The TecMint Staffs solely responsible for this section are our founder — Ravi Saive, and Jesse Afolabi who is the News Editor. As at the time of this writing, TecMint boasts an approximate 120K subscribers, 228K followers on Facebook, 39K on Google Plus and 10.5K on Twitter with over 4 million page views monthly.